An Apple Crumble recipe that will have you licking your plate clean! Soft Apples, topped with a buttery crumble top and homemade salted caramel sauce. Pure heaven! I’m usually not one to love Apple Crumble because cooked fruit gives me the heebie geebies 92% of the time. But, THIS recipe for Apple Crumble made with extra ‘crumble’ with a homemade salted caramel sauce is something I could seriously never get sick of. I remember being a little girl and watching my mom make her recipe for apple crumble which was heavy on the apples and very light on the crumble and I remember thinking what a travesty it was. I was probably 5. So, as an adult armed with a decent amount of kitchen knowledge, I took matters into my own hands promising myself that I would create a recipe that even I, the cooked fruit hater, could love. And I did it! 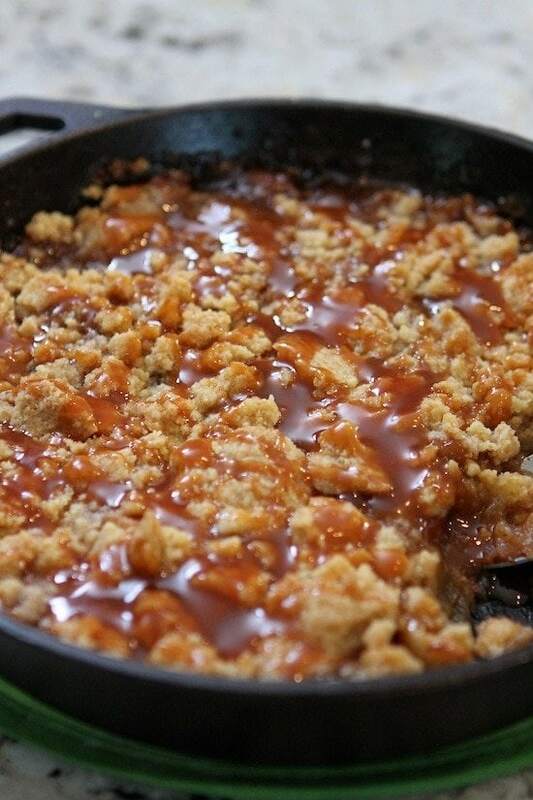 I took it pretty easy on the apples, doubled the normal amount of crumble topping and was quite heavy handed with the warm salted caramel sauce for the ultimate fall dessert that everyone and their mom will love. The hardest part of this recipe is probably making the homemade salted caramel. I’ve walked you through the steps pretty well in the video below and in the recipe card but if that intimidates you in any way, there are plenty of salted caramel sauces on the market which are great options. 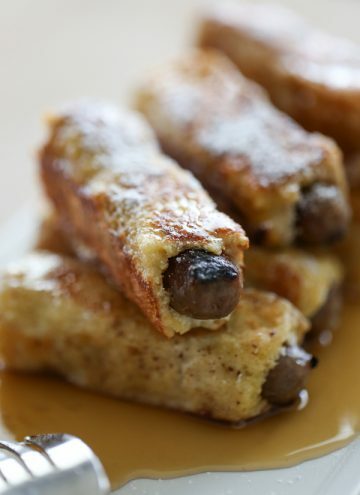 Even warming up Hershey’s caramel sauce and adding in a little sea salt will work too. Printable recipe card below. Have a great day, friends! Heat sugar and water in a small saucepan over medium heat to melt sugar. Continue cooking and swirling sugar until it turns amber in color. Whisk in sea salt and heavy cream. Mixture will bubble up violently briefly. Continue whisking until sauce is smooth in consistency. Stir in butter and vanilla. Set aside. Prepare apples and toss in lemon juice. Cook apples in a large cast iron skillet over medium low heat in butter to draw out moisture. Sprinkle with salt to draw out all the moisture possible. Drain apples and place back into skillet. This process should take about 5-7 minutes of cooking. Pour 3/4 of prepared caramel sauce into the apples and stir gently. Top with the crumble topping. Bake at 350 for 20 minutes and serve with remaining caramel sauce. This looks amazzzing! Can’t wait to make it!! Would love to win the appliances!! it’s funny you posted this recipe because i just baked up my first apple crisp of the fall! adding caramel sounds like a fantastic idea. my main challenge for cooking lately has been working around the huge crack in my cooktop, haha! would love to win a new one 🙂 thanks! I am adding the apple crumble to my “must make” fall recipes. My challenge is an increasing passion for baking vs tiny kitchen. Would love to win!! I recently made homemade sweet potato gnocchi, but it turned out a little more dense than it was supposed to. The flavor was great so the family ate it, but I learned my lesson for next time — less flour! Thanks for the chance to win. I love that you included the video cause I think that will keep my li’l one entertained as I try out this recipe. Just went apple picking on Saturday and I’m looking for ways to use those apples! This is on the list! This looks amazing! We would love to renovate our kitchen and would love the kitchen aide appliances! I’m going apple picking this weekend!! PERFECT recipe! I love the video!! Looks fabulous! Can’t wait to try this recipe! I just Love anything apple! I just conquered some baked pumpkin donuts – mmm. This looks delicious! I’m in Vermont as we speak, and surrounded by delicious fall apples. This would be perfect 🙂 Also, love the video!! Last night I was craving apple pie, but i’m gluten-free and dairy-free and had yet to conquer a perfect pie crust. I looked at a ton of different recipes, and finally decided to just give it a whirl. And it worked out great! Used my handy-dandy KitchenAid mixer, but would have loved to make this in a food processor! I have made caramels and creme filled chocolates many times for the holiday season 🙂 I can’t wait to try this recipe it looks amazing! That looked delicious! As an avid reader of your blog it was also very nice to get to your and Brooke’s voices. I have been craving apple pie. This will certainly satisfy that craving. Last year I realized I could use my Kitchen Aid for shredding chicken and my life hasn’t been the same since. I love Kitchen Aid everything so this giveaway excited me greatly. LOL! oooh looks delicious! Recently tried making my own pizza dough…it took a few times before I finally got it right! Love all things KitchenAid. 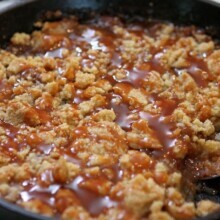 That crumble looks so good with the caramel on top! You were fantastic in the video! You’re a natural in front of the camera! One of my biggest cooking challenges lately has been working with yeast. I know it’s more of a baking thing, but in the past, I never had the best of luck with bread making, so I was scared of it for a while. Recently, I had two bread recipes go right, though! I LOVE apples, anything apple will work for me, especially deep-dish apple pie! I’ve always had difficulty with homemade pie crust and have used pre-made. Last year I got a Kitchen Aid stand mixer for Christmas, the dough-hook attachment was the key to my success! I’ve finally been able to make my own flaky delicious pie crust, no more store-bought pre-made crusts for this girl, no way! My husband and I just picked 125 lbs. of apples this past Saturday. This recipe will be my next Apple-y creation and I know my family will love it!! Thank you for sharing. 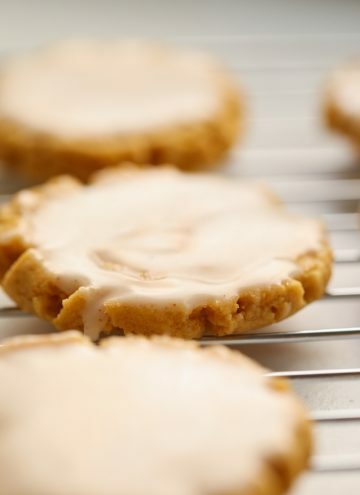 I just made your soft glazed pumpkin sugar cookies yesterday and they were amazing! My son loved them so much he asked for more! I can’t wait to try this crumble, caramel apples are my favorite fall treat to eat! I would love to have some awesome new KitchenAid appliances for my kitchen as well! Thank you for this opportunity! Apples, caramel, KitchenAid and Lauren’s Latest……….what a great combination!! What a great giveaway and loved your video…I love caramel apples so I may need to try this. 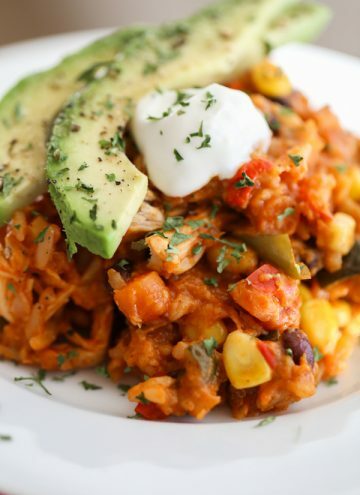 Is it just me or does anyone else lick the spoon or taste test more often now that its fall recipes?! I made the pumpkin cupcakes with cinnamon cream cheese frosting and I could not stop licking the frosting spoon. No no I should say spoon I just dug my finger right in! As my three year old saw this he wanted to help. Let’s just say once the cupcakes were done we didn’t dig in right away! And I don’t use canned pumpkin I plant pumpkin pie pumpkins in my garden every tear and use them. My boys and husband are very picky eaters! Only fresh non store bought things here. I just bought a KitchenAid three cup food processor last week and put it to work this weekend. I made salsa with tomatoes and peppers from my garden and also made pesto with basil from my container garden. 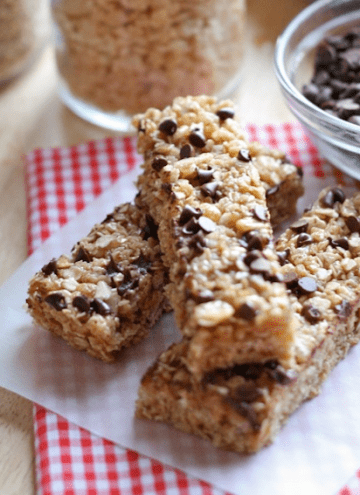 They were so easy to make and both turned out delicious! So glad I ditched my old blender for the food processor!! I’ve got a caramel apple tart in the works. Your video is great! You’re both adorable. I just made your Pumpkin Maple Cinnamon Rolls and they were magnificent! I truly love your vibe and enjoy connecting with you on FB and your blog. My husband is a carpenter and we have been “working” on our house since we bought it almost 5yrs ago. It came with no appliances and so we have piece mealed our kitchen together (for real we cooked on a George forman grill and a hot plate for yrs!). It would be wonderful to have a fully functioning kitchen that I would be proud to have people over!!! I love the video! You are such a natural and Brooke is the cutest thing! love her wings! 🙂 I am SO making this apple crumble (love the concept) very very soon but recently, I conquered making a veggie mac and cheese, sneaking in all sorts of veggies (kale and cauliflower) and still having my kids eat it! 🙂 by the way, LOVE your kitchen! I love caramel apples–I need to try this! I was not happy about fall arriving already until I saw this recipe. I am drooling it looks so good. thank you. What an amazing offer from Kitchen-Aid! There simply isn’t a better product on the market. Can’t wait to try this recipe! This looks awesome! 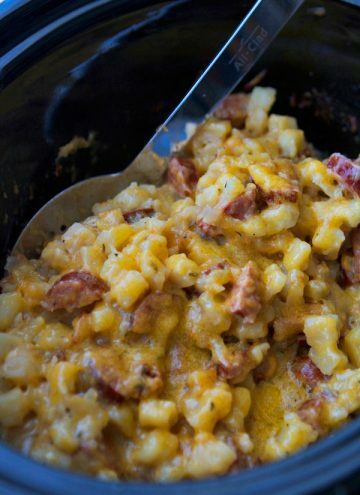 My husband and I just closed on our first home this past weekend, so after we get settled in, I definitely want to try making this recipe! I also love using caramel for fall and the holiday season. I make chocolate caramels and truffles and love giving them as gifts. They’re not too difficult to make, but having great appliances can also help make cooking and baking less stressful. This looks amazing! I love salted caramel on anything but this just screams fall. Our local apple orchards open soon. Can’t wait to make this crumble. Visiting here from RE, but I will be back. Liked you on FB. I Loveee my KA stand mixer. Just used it yesterday to make choco chip cookies. Apples are plentiful here in my part of the nation somI will try this crumble maybe today! I learned how to roast broccoli! It’s actually really simple but I’d never roasted vegetables before! Well… a recent cooking challenge that I’ve overcome is using a potato masher and then hand mixer to duplicate the effects of a stand mixer. Strange, but effective! i conquered a peach cobbler the other day… using a FORK, A CANOPENER, A MIXING BOWL, and MY 50+ year old OVEN! what a shame… i would LOVE me some KitchenAid appliances! OMG, I just happened upon your website and besides the fact that I’m a “Lauren” too I’m psyched. You have such great recipes here. I tried your Grilled Asian Sweet and Spicy Chicken Skewers last night and boy were they a hit! I’m going to make your Salted Caramel Apple Crumble this week on Wednesday morning before work for a co-worker’s birthday “cake.” I’m not a baker but this looks awesome. Your Kitchen-Aid oven looks fabulous by the way as do you!